AASP (The Asian Association of Social Psychology)’s mission is to provide scholars in Asia and the Pacific with a collaborative forum for the discussion, promotion, capabilities building, and publication of their research. The Asian Association of Social Psychology (AASP) was formed in 1995. It promotes research on Asian traditions, philosophies, and ideas that have scientific merit and practical applications, and expands the boundary, substance, and direction of social psychology by supplementing and integrating Western psychology’s focus on intra-individual processes with a broader and more holistic view from culture and society. The main theme of the 13th biennial Asian Association of Social Psychology (AASP) conference in Taipei, Taiwan, July 11-13, 2019, is “Consolidating the future of Culture-Oriented Psychology: Progress and achievements”, and hosted by Academia Sinica (Prof. Yuh-Huey Chou, Prof. Kung-Hui Yeh, and Prof. Jen-Ho Chang), and National Taiwan University (Prof. Bor-Shiuan Cheng). The 2019 AASP conference’s theme is based on the 3rd AASP conference, also hosted by Academia Sinica in 1999. In that year, the 3rd AASP conference started an inspired discussion among three main fields on Asian social psychology: the perspectives of cross-cultural psychology, cultural psychology, and indigenous psychology. These inspiring dialogues thereby contributed to a classic special issue of Asian Journal of Social Psychology in 2000 (Volume 3, Issue 3). Now, based on two decades of the research findings on Asian social psychology, in 2019 AASP, we have decided to make deep reflections on both theoretical and empirical developments, and hope to bring innovative integrations on different psychological perspectives in order to consolidate future directions Asian social psychology. 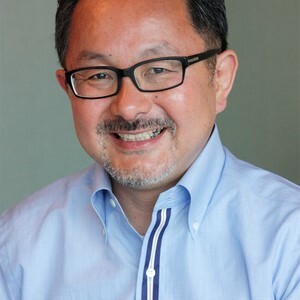 Featured keynote speakers for 2019 AASP’s conference include (1) Shinobu Kitayama, the Robert B. Zajonc Collegiate Professor at the University of Michigan, who just received the Outstanding Achievement Award for Advancing Cultural Psychology from the Society for Personality and Social Psychology (SPSP), and also serves the current editor of Journal of Personality and Social Psychology (JPSP), and the former editor of Personality and Social Psychology Bulletin (PSPB). 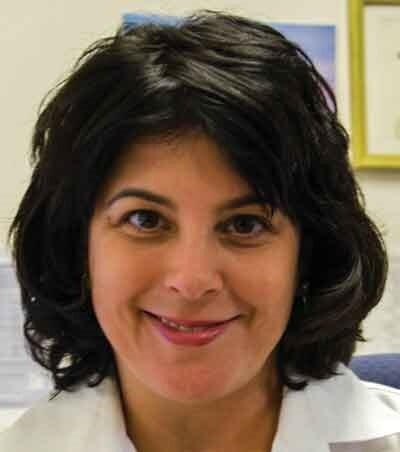 (2) Michele J. Gelfand, the Distinguished Professor at University of Maryland, and also received the 2017 Outstanding International Psychologist Award from the American Psychological Association. (3) Kwang-Kuo Hwang, the Distinguished Professor at Kaohsiung Medical University and the Emeritus Professor at National Taiwan University, and also as the past president of AASP and AAICP (Asian Association of Indigenous and Cultural Psychology). More information on new keynote speaker will announce on future AASP newsletter. The conference website is scheduled to be opened in this summer, and will have a first round “Call for Papers” in order to allow delegates who need early confirmation of paper or poster acceptances. In addition, we encourage delegates with creative plans such as cross-cutting theme in Asian social psychology, symposia, and workshops, and then work with conference organizers to contribute these plans to the fullest extent for 2019. Finally, a Summer School will take place just prior to the main conference as usual. Plans and schedules for the main programs of the 2019 AASP are now underway. After the final confirmation, we will announce the detail information in further AASP newsletter. 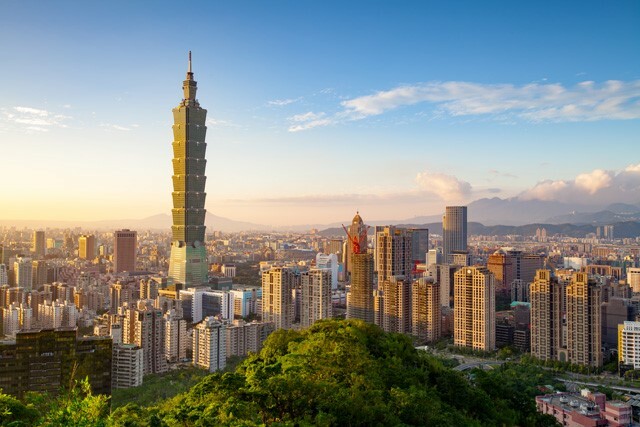 We are currently accepting submissions of abstracts for 2019 AASP conference in Taiwan (10-13 July, 2019). The submissions include symposium, paper (oral presentation) and poster. Please submit via the conference website. Delegates who require an early confirmation of acceptance for visa application purposes must submit their abstracts by the 30th of November, 2018. Notification of acceptance will be sent before the 15th of December, 2018. Delegates who do not require an early confirmation must submit their abstracts between the 1st of December, 2018 and the 31st of January, 2019. For these submissions, the notification will be sent by early April 2019. The Scientific Committee reserves the right to accept and decline abstracts. Supported by the Asian Association of Social Psychology (AASP), the 2019 Small Group Conference Serving the Underserved in the Tropics: Making a Difference with Positive Psychology will be held from June 28-29, 2019 at the beautiful Townsville Campus of James Cook University, Australia. You can also join the conference at JCU Cairns campus, Australia or JCU Singapore campus via video conferencing. The Small Group conference is co-hosted by the Department of Psychology, and the AusAsian Mental Health Research Group (AMHRG), JCU. The Organizing Committee cordially invite researchers working in tropical areas in the Asia-Pacific region to attend the meeting. 9:00am-12:00pm: Community Wellbeing Matters – the 2nd Townsville Intercultural Conversation, a community grassroots initiative collectively hosted by the Townsville Chinese Club, North Queensland Hindi Community, Townsville Pasifika Community, Townsville Aboriginal and Islanders Health Services and Townsville Islamic Society. The three keynote speakers will be invited as discussants in the forum. No registration fees for AASP members and JCU Psychology students. Participants will be provided with lunches and morning and afternoon teas during the conference without extra charges. A free electronic version of the Abstract Book will be provided on the conference website. Participants will need to pay their own transportation fees to and from the conference venue, accommodation and breakfasts and dinners during the conference. January 20, 2019: Conference Academic Committee review abstracts. June 1, 2019: Third (final) Announcement (Including PPT submission guideline, transportation and accommodation information). The Chair of the Organizing Committee (and the Convener of AMHRG) Dr Wendy Li will be happy to field inquiries and engage in dialogue to shape Small Group Conference as an exciting event for researchers to share their insights into serving the underserved in the tropics. The Asian Association of Social Psychology (AASP) is pleased to announce a Small Group Meeting on “Narratives of Identity: Bridging the Divides in a Multicultural World - an AASP-IALSP Task Force” from July 7-9, 2019 at Hong Kong Polytechnic University in Kowloon. The meeting is co-hosted by the International Research Centre for the Advancement of Health Communication and the Department of English at HKPolyU, in collaboration with the International Association of Language and Social Psychology (IALSP). The Organizing Committee warmly welcomes early and mid-career scholars, as well as exceptional postgraduates to apply to attend the meeting. AASP and IALSP have a long-standing Memorandum of Understanding toexchange symposia at one another’s conferences. The narratives of identity that are the subject of this Small Group Meeting are ones that can be mobilized to bridge divides between different groups– nations, ethnicities, religions, professions, generations, and genders - through improved communications. This meeting unites three streams of research, each designed to interweave and to produce international research collaborations that result in publications and conference presentations. The goal of the meeting is to develop a Task Force that will present their research findings to the International Communications Association (2020), the IALSP (2020), and AASP (2021). Participants will be expected to take advantage of the data, theory and inspiration provided by workshop leaders to develop new research projects and publishable research papers. Publications in a special issue of the Journal of Language and Social Psychology, Asian Journal of Social Psychology or other appropriate journals are an anticipated outcome of the meeting for participants. Prof James Liu will share data he has collected from the Digital Influence survey (encompassing multiple waves with 20 to 40 countries, and thousands of participants, W1=20K, W2=16K) with participants (e.g. data on Satisfaction with Life and Social Representations of History). Other data sets may also be used. Participants will be expected to develop their own data-gathering after the workshop. There will also be opportunities for developing international collaborations based on shared research projects developed at the Small Group Meeting. These should center around interventions based on meeting themes. We expect a maximum of 25 participants. They should be early and mid-career researchers who have a strong interest in researching these topic areas. Applicants will be required to write a paragraph about why they wish to attend the workshop, describe their current research expertise and how they might contribute to the workshop, and include a two page CV. They should also indicate in numerical order (from 1-3) which of the topics they are most interested in and why. All submissions must be in English and should be emailed to aaspialspmeeting@gmail.com before Jan 15, 2019. The meeting will commence on July 7 at 9.30am and conclude at 5pm on July 9. A detailed program will be emailed to all participants prior to the meeting. No registration fee is charged for this meeting. Accommodation will be provided by the meeting at no charge. Participants will be provided with free lunches for three days during July 7 - 9 (box lunch). There are tea breaks in the morning and afternoon during the meeting (a total of 6 tea breaks). Participants are required to pay their own transportation fees to and from Hong Kong, apply for visas, and cover meals not planned by the workshop. Nov 15, 2018: First Announcement (Call for Papers), applications for places at the meeting open. Up to 25 places are open to participants. Jan 31, 2019: Acceptances to the meeting decided, invitations sent out to applicants. Upon acceptance, each participant should formally commit to attending the small group meeting, or give up their place to the next candidate. Failure to show up after acceptance will be viewed very negatively by AASP & IALSP. Any questions should be emailed to aaspialspmeeting@gmail.com. Click here to become an AASP Member. Original generation time 0.7858 seconds. Original generation time 1.4139 seconds. Cache Loaded in: 0.0007 seconds.